3121 Kikihi Street has the TMK 2-2-1-24-68. This is lot number 68 of the Wailea Kialoa subdivision, a gated community with 102 fee simple Wailea Homes. 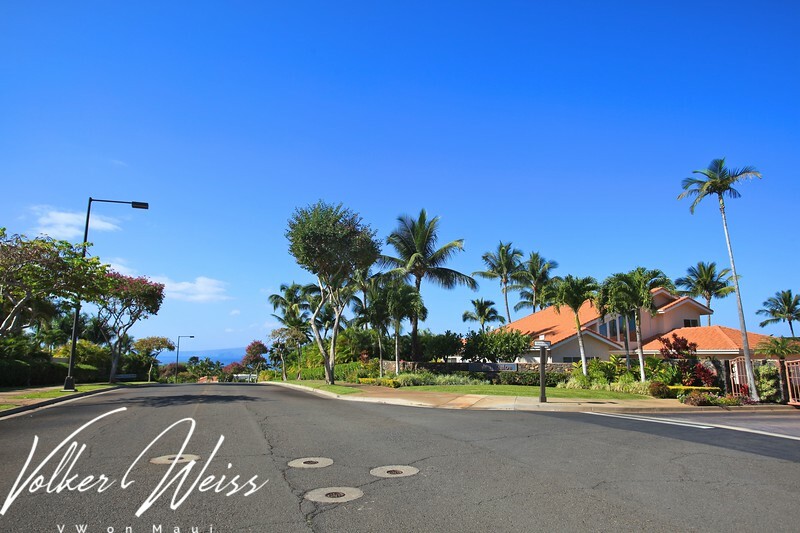 Wailea Kialoa is located above The Palms At Wailea and below Wailea Pualani Estates. 3121 Kikihi Street occupies a corner lot with 9670 square at the entrance gate from Kaipili Street. The comfortable floor plan of this Wailea Home has 3 bedrooms and 3.5 bathrooms, 2684 square feet of interior living space, 315 square feet of covered plus 357 of uncovered lanais. While the ground level with the pool and Jacuzzi tub is offering a fully fenced and private yard, the elevation of the home offers truly stunning ocean views from the generous sized upstairs lanai of the master suite. Sunset ocean views from this Wailea Home are all-year-round, reaching from the island of Molokini in the South to the West Maui mountains in the north. Simply beautiful. Wailea Real Estate and Wailea Homes, including Wailea Kialoa in South Maui, are viewed best at VWonMaui, a partner of the famous 1MauiRealEstate.com project. 3121 Kikihi Street, Wailea Kialoa, Maui, Hawaii. Research Wailea Real Estate and all Wailea Homes for sale, including Wailea Kialoa in South Maui, on the area’s #1 website VWonMaui, a partner of the famous 1MauiRealEstate.com project.